It’s hard to decide who shone brighter. Jennifer Lawrence’s performance in the new drama thriller Red Sparrow has received rave reviews. How could it not? The 27-year-old Oscar-winner nails a sultry Russian accent for her role as Dominika Egorova, a prima-ballerina-turned-secret-agent. If you didn’t know better, you might mistake J-Law’s edgy attitude for a real life Russian spy. 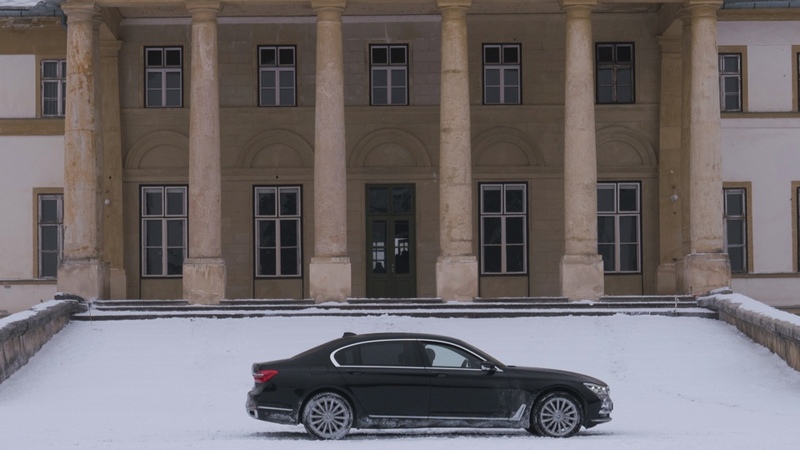 The 7 Series just makes sense on set of Red Sparrow. The 2018 full-size luxury sedan is loaded with the newest technologies, like wireless charging for smart devices and Gesture Control, which can turn the stereo audio up and down by moving a finger in a circular motion in front of the touch-screen panel, or answer an incoming call by moving a finger towards the panel. All important features for a Russian spy on the move, really. Filming took place in the cities of Budapest and Keszthely in Hungary as well as Vienna, Austria. In the flick, the The 7 Series is spotted racing through the streets of the Hungarian capital. The slick black sedan looks completely at home in every location. BMW is no stranger to seeing its vehicles on the silver screen, especially in action-packed films. Pierce Brosnan’s version of James Bond in the 1999 hit The World Is Not Enough was elevated by the silver BMW Z8 he drove, and Jason Statham’s Frank Martin notoriously whipped around in a black 735i six-speed manual in The Transporter. Red Sparrow is no doubt worth watching for the keep-you-on-the-edge-of-your-seat plot twists and Lawrence’s stellar performance, but we’re most excited about the car scenes.